Carnivorous Creatures LED Lit Bog | BUDK.com - Knives & Swords At The Lowest Prices! 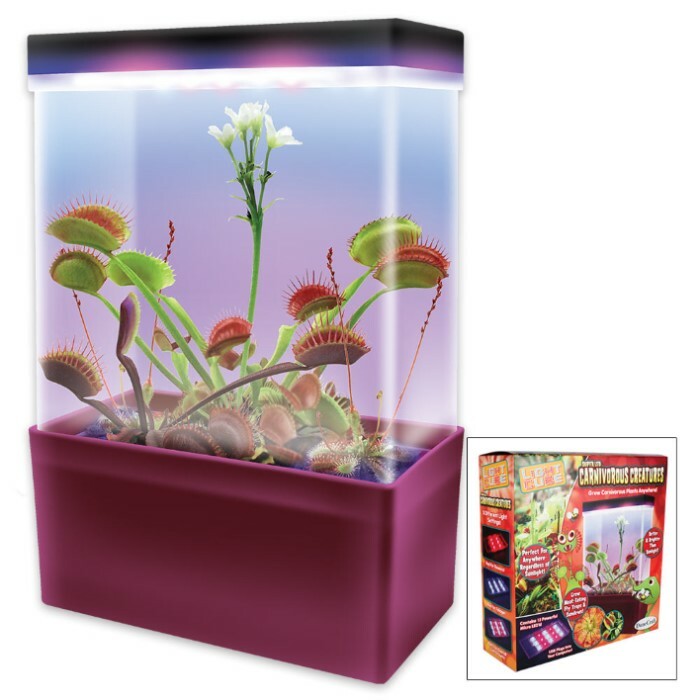 Grow fearsome Fly Traps and savage Sundews. These will start sprouting without stratification and will thrive in your LED lit bog for years. These meat-eating plants are fascinating to watch grow from the day they sprout. Fifteen powerful micro LED lights provide plenty of light for your seedlings and plants to thrive. 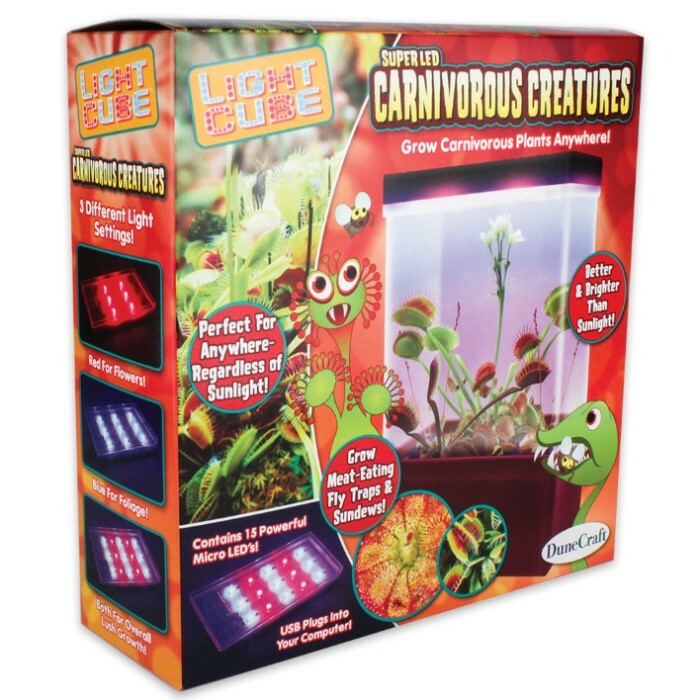 The state of the art light has red light to promote flowering, blue lights to foster foliage, and you can set it to use one or both lights, depending on what you are growing.